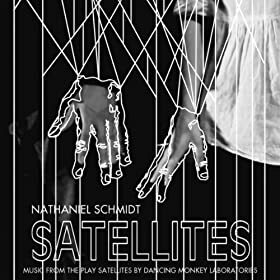 *In addition to the laboratories performances, Dancing Monkey also enjoys writing about our work. We call these writings “Performance Papers”. These papers are designed to shine a darkened light onto the details that are beyond the stage: Structure, Mechanics, Philosophy, More questions… We also design these papers to be performances in and of themselves. Every new production strives to explore new (new to us) performative techniques and these papers talk about these experiments. Enjoy. Mike Czuba gave the plenary address titled “Our Own Witnesses” at WP Puppet Theatre’s Puppet Power conference at the University of Calgary. Click HERE. In preparation for Dancing Monkey’s upcoming production of Karl Nimeni is not Dead – I Killed Karl Nimeni, Mike Czuba shared some thoughts with Intermission Magazine about process, making art and identifying as an artist. Click HERE. A Thr(3)e Dimensional Text – An Academic paper presented on February 4th, 2017 at the Festival of Original Theatre (FOOT), University of Toronto, Centre For Drama. CLICK HERE.